The VideoSky 4K Video Camera Camcorder adapts Sony IMX377 CMOS Sensor to enable 48.0 MP stills capture and Ultra HD 4K video recording at 30 fps. 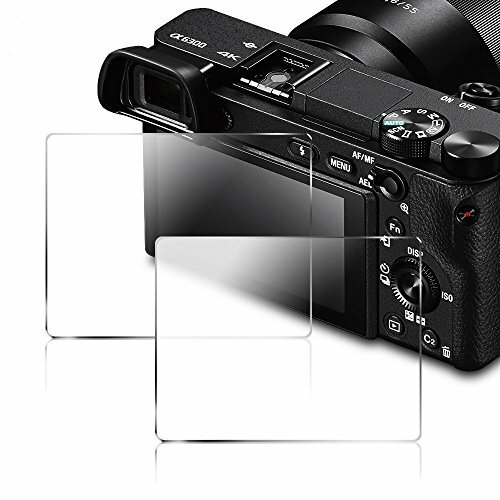 This camera features excellent high-sensitivity imaging performance and operability. HDR and WDR offers increased color contrast and expressiveness. 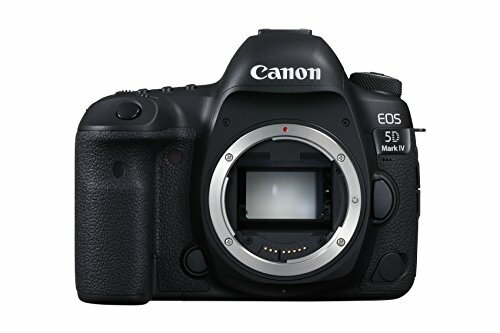 You can even remotely control your camera with WiFi connection! With a host of functions and accessories, anyone can take beautiful photos! 1. Pls read the user manual carefully before using this camera. 2. Please charge the battery up to 8 hours for the first time use. 3. SD card is not included in the package. 【WiFi Connection & IR Night Vision】You can remote capture, share, browse or back up your beautiful photos or videos via WiFi connection. Please download APP (Android/IOS) by scaning QR code on manual. Do not hesitate to share your photos and videos through social media. Time-lapse photography allows you to record pretty amazing landscapes videos. Under IR Night Vision, you can capture clear photos and videos in black and white while in the darkness. 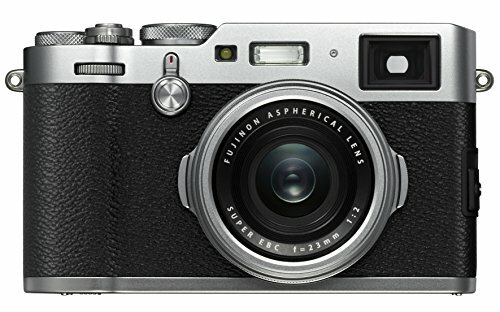 Also shoots great in low light. 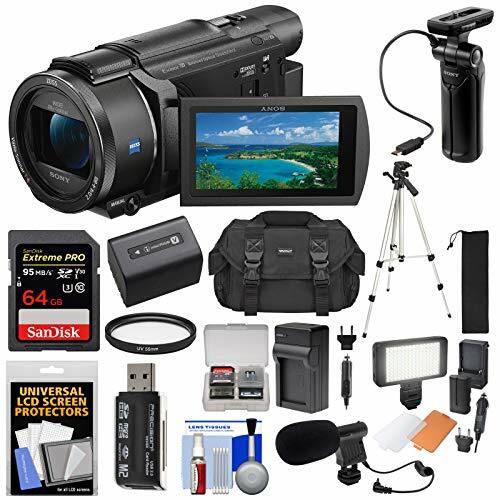 【4K Ultra HD Camcorder】The 4K Camcorder features Sony IMX377 High-Sensitivity CMOS Sensor with UHD 3840×2160 video resolution and 48.0 MP image resolution, capturing super high-quality images. 3.0″ capacitive touch screen (270° rotation) provides vivid colors and high contrast. 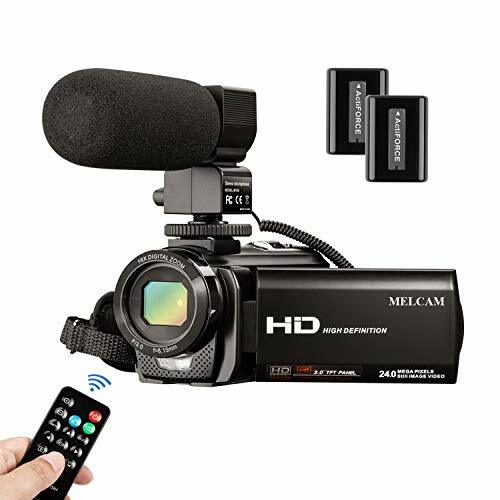 16X digital zoom, IR night vision, remote controlled, webcam, wifi connection, external microphone, pause function,time-lapse photography,HDR,WDR and other interesting functions,allow you to record wonderful time easily. 【Camera with Wide Angle Lens & External Microphone】It comes with a professional 0.39x super 2-in-1 wide angle lens (with macro lens). Wide angle lens can capture wider scenes, such as architecture, landscapes. Macro lens can capture small objects, such as flowers, insects. Meet your different demand! External microphone adopts X-Y stereo pickup technology that is effective for reducing noise and enhancing sound effect. Delivering clear, crisp audio is useful in video shooting,meeting, interview. 【Pause Function & Recording While Charging】Pause Function is very convenient for capturing every detail of the movement without starting a new file. Two high-capacity rechargeable batteries enable long recording. You can even record while charging. Included remote control is very convenient for self-timer and group picture. And included lens hood can block excess light and protect the camera lens, improving overall contrast and color in your photos. 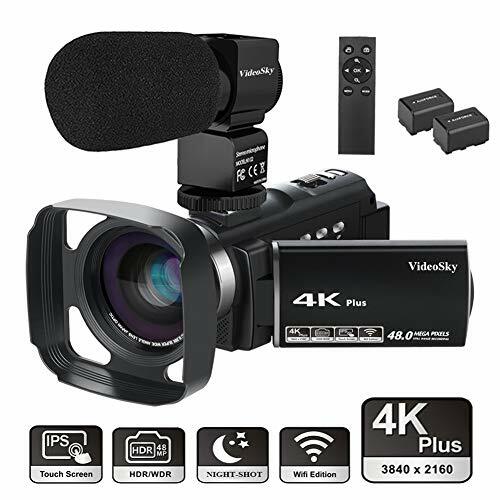 【Portable and Lightweight】You can take this 4K video camera anywhere as it is portable and lightweight, perfect for outdoor activities and trips. A HDMI cable is included for connecting camera directly to an HDTV and playback the videos. 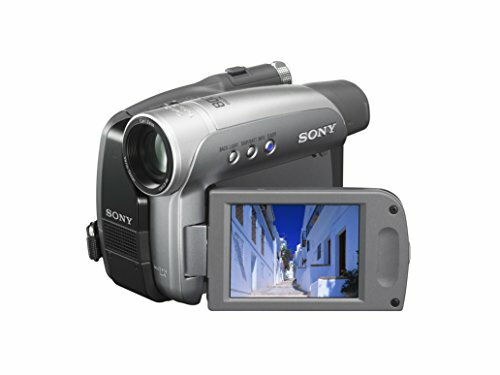 This camcorder is also a perfect gift for your family and friends! 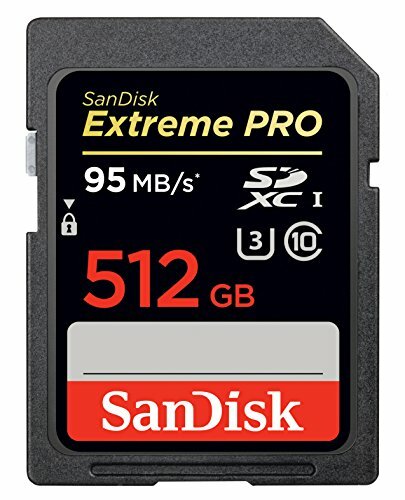 It supports SD/TF card (128GB at maximum, the sd card not included). It can also support standard tripod (the tripod not included). If you have any questions, please feel free to contact us.